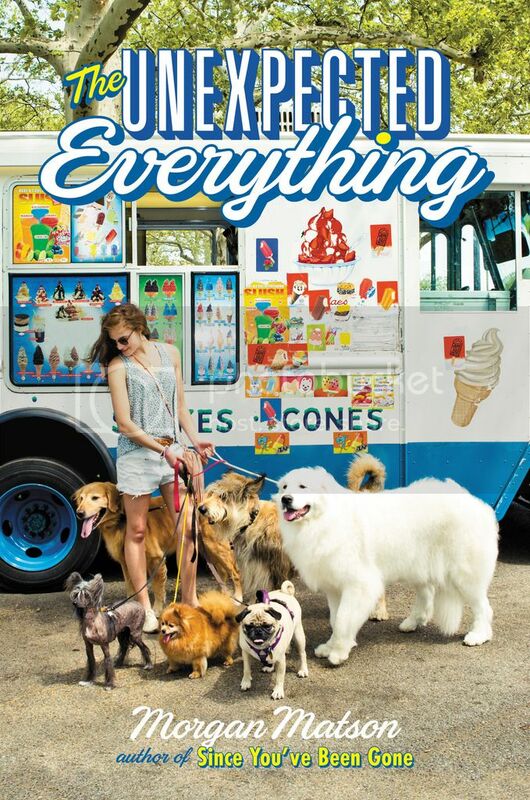 The Unexpected Everything was one of my most anticipated reads for 2016. I fell in love with Morgan Matson's writing after reading Since You've Been Gone, and of course her Broken Hearts & Revenge series, written under her pen name, Katie Finn. 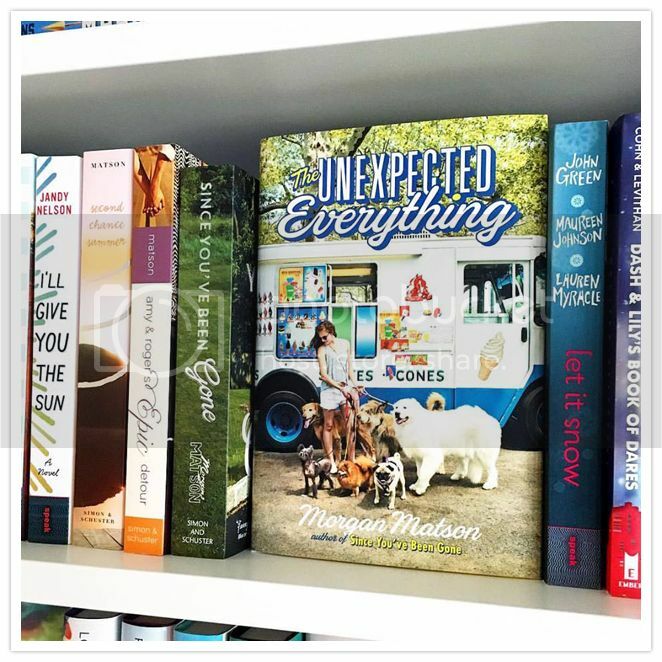 Let me share a little of what I loved about The Unexpected Everything, without giving too much away, of course, because you're definitely going to want to check this out for yourself. There is so much that I really loved about this book, including the characters. Andie, the main character, was great. She had everything planned out for her life, and at such a young age, that's pretty impressive. And when everything she had planned for the summer suddenly changes, and after the initial panic wears off, she goes with the flow and totally gets things done. She has an amazing friendship with her three best friends, Palmer, Bri and Tobey. It's one of those friendships that all girls want when they are growing up, but rarely ever get. I loved the friendship these girls had so much. There are guys in the book as well, and they are all pretty great. I'm not going to go into detail about them, because I want you to meet them yourself. Let's just say you're totally going to love them, as I know I did. And one in particular is definitely going to make you swoon. AND, I'm going to put Andie's dad in the guy category as well, as he totally grew on me as the story went along, and I kind of love him for it. The storyline for the book is one I've read time and time again, but Matson puts such a wonderful spin on it, that you can't help but be completely captivated by the story. Seriously, this book is pretty massive at 528 pages, and I read the bulk of it in just a day's time. I couldn't put it down. It was just an all around fun read, even when it had some serious moments in it as well. I do believe this book has earned a spot on my favorites list! Overall; Morgan Matson has won me over yet again with The Unexpected Everything!! I loved everything from the wonderful characters, to the fun storyline. This book will make a great summer read, or an anytime read actually!! Definitely add this to your to-be-read list. You won't want to miss it! I'm really excited to read this! But I might just wait until the summer. I'll probably appreciate it more when the sun is shining and it's hot and... Can it be summer already?? Great review!